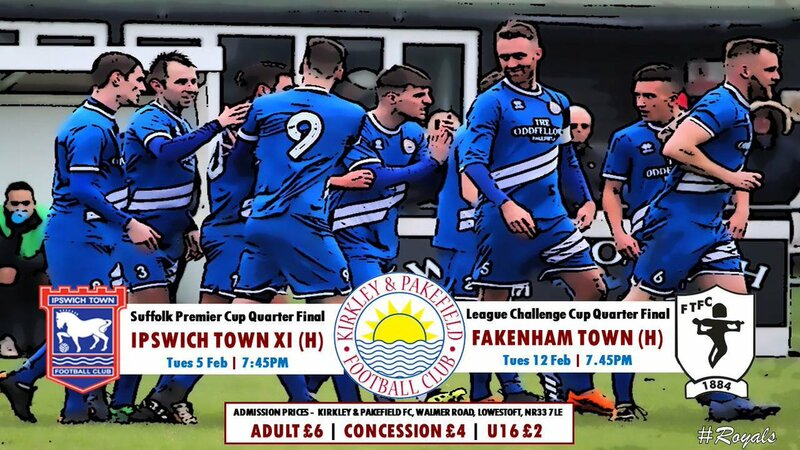 A young Town side is in Suffolk Premier Cup quarter-final action against Thurlow Nunn Premier Division Kirkley & Pakefield at Walmer Road this evening (KO 7.45pm). The Blues have fielded teams largely made up of U18s players in the competition this season. The match was originally scheduled to take place next Tuesday, February 12th, but the U18s will now play their FA Youth Cup fifth round tie against Watford at Wingate and Finchley's Maurice Rebak Stadium on that night (KO 7pm). The young Blues last faced the Kirkley & Pakefield in the competition in 2016 when they ran out 5-1 victors. Meanwhile, former Blues bosses Jim Magilton and Paul Hurst are both reported to be contenders for the vacant manager's role at Hibernian. Go on boys, give us something to cheer.